“BABEL is a brilliant, profound and devastating film that explores the dangers and consequences of what can happen when words fail, communication ceases and all you’ve got left are feelings. BABEL is a masterpiece. This is the third time that director Alejandro González Iñárritu has entered the rundown fray of contemporary ho-hum filmmaking to bring along his own emergency generator. His breakthrough film, Amores Perros (2000), won prizes and caused riots, while his second feature, 21 Grams(2003), became the ensemble-film model for scores of imitators like Crash. BABEL, his most calibrated and grandly conceived epic yet, won several awards this year in Cannes, including the prestigious Best Director prize. “BABEL is a vast and complex work, told in five separate languages and filmed in four corners of the world, involving a uniformly perfect cast of actors who never appear in the same scenes together but share links in four story lines that require concentration and analysis. The sensational screenplay by Mr. Iñárritu’s longtime collaborator, Guillermo Arriaga, is so honest and suspenseful that I don’t think your mind will ever wander. It is two and a half hours long, but you won’t miss those goddamn cell phones for a second, and at neither of the screenings I attended has one person left the room for so much as a bathroom break. What you must do is let Babel happen right before your eyes. It will wash over you like warm surf and take you hostage. “…It takes some time to figure out what it is that links these four narratives, but Mr. Iñárritu stitches the pieces together like fine petit point—and then you see how tender and fragile the membrane can be between innocence and tragedy…Inspired by the chaos that erupted in the Biblical allegory about the Tower of Babel, where nobody was intelligible to anyone else, the film is about fate and the terrible, unplanned things that can happen to people far from home in a senseless time of global uncertainty. The saddest person of all is the Japanese mute, for she cannot speak at all. Every member of the vast cast is splendid, truthful and emotionally committed—especially Adriana Barraza (who played the mother in Amores Perros) as the responsible, dedicated maid whose one misjudgment costs her everything she stands for. 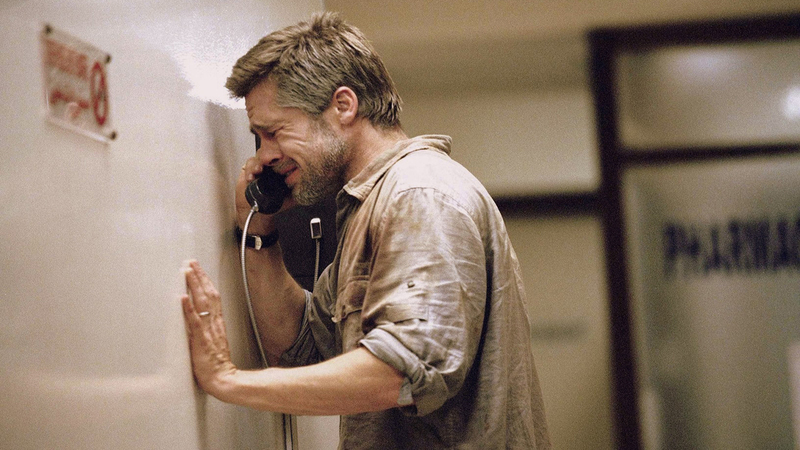 Cate Blanchett’s diversity is a matter of record, but nothing will prepare you for the power and depth of Brad Pitt’s gut-wrenching performance as the brave, fiercely protective and helpless husband. There’s one scene, where he covers his wife from the prying eyes of African children and helps her pee into a pan in the dirt, that will either move you to tears or remind you that you need to see a shrink.